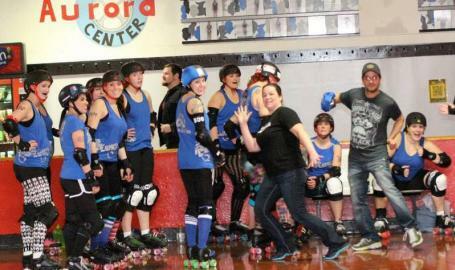 The South Shore Roller Girls (SSRG) are Northwest Indiana’s premier women’s flat track roller derby league. We strive to improve individual athleticism, character, and community while promoting team unity. 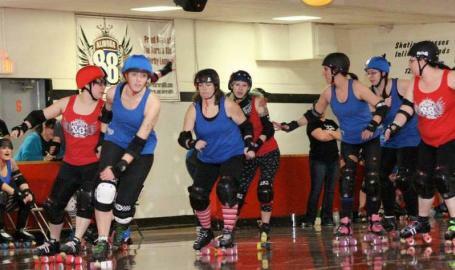 Our program provides training, instruction, and competition all geared to represent SSRG at a local and national level. We are dedicated to providing community outreach through events, activities, sponsorships, and volunteerism. 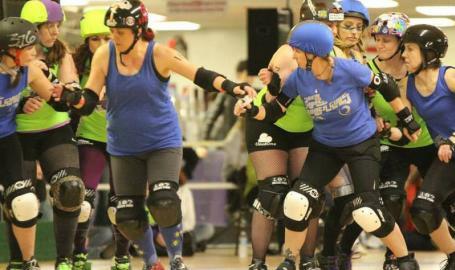 Founded in July 2013, SSRG has quickly caught the attention of Northwest Indiana as a group of motivated, hard-working women, dedicated to athleticism and supporting their local communities. Since its foundation, SSRG has strived to train just as hard with our gear on as we do with it off; volunteering at local events, participating in charitable causes to raise awareness, and promoting modern day women’s roller derby. Our skaters have participated in Habitat for Humanity, volunteered at events for the Northwest Indiana Food Bank, March of Dimes and plan to participate in many more charitable events. We aspire to be positive role models within our communities and encourage an atmosphere of unity and acceptance. 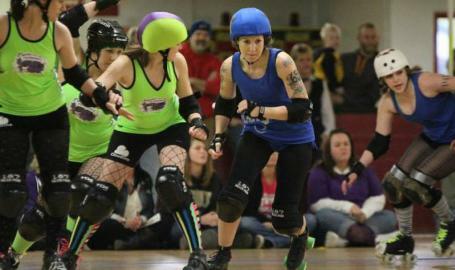 We are aspiring to become Women’s Flat Track Derby Association (WFTDA) certified skaters and apprentice league.